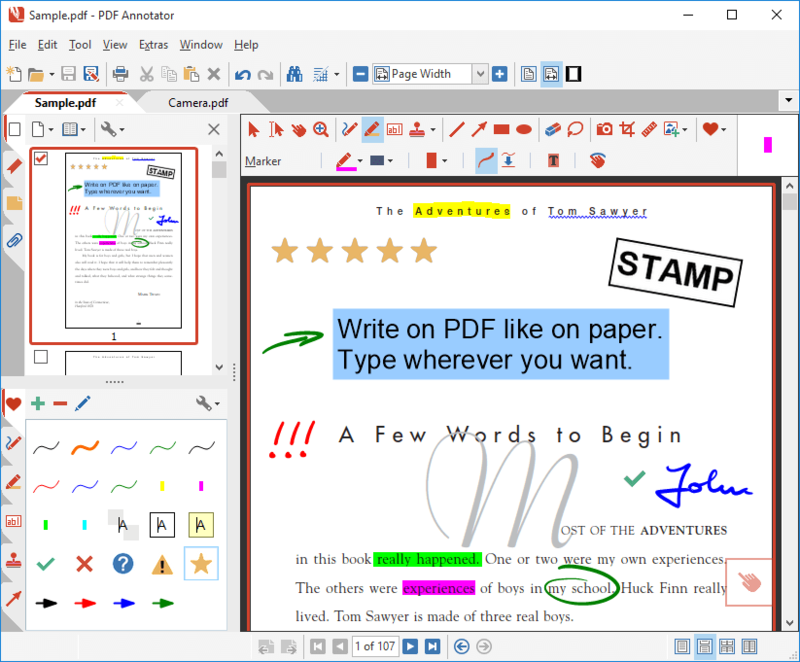 PDF Annotator lets the user open any PDF file and add annotations, using keyboard, mouse or a Tablet PC stylus, directly on the PDF's pages. Commented documents can then be saved directly back to PDF format. This way, anyone can read or print the marked-up PDFs, even without PDF Annotator. Insert additional pages, delete and move pages, crop or add margins. Or create new, blank documents. Now includes a PDF printer to create PDF from any source. Recent Changes: Various new features and improvements!